Quinnipiac is off and running for the 2018-2019 season. A thrilling 3-2 come from behind win over the Vermont Catamounts gave the Bobcats the type of the start this team needed as it looks to have a bounce back season. Chase Priskie and Odeen Tufto saved the day with big time goals and many of the young players stepped up with points in this effort. Quinnipiac next plays Tuesday against UConn for the home opener. It was also a solid week for some of the future Bobcats so let's take a look at how they have done over the past week. 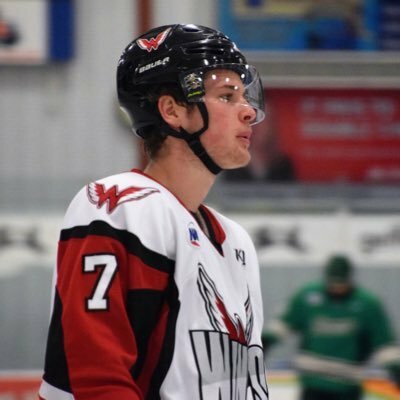 Quinnipiac picked up its most recent commit in goaltender Evan Fear from the Green Bay Gamblers. The Illinois native picked up a 5-4 overtime win over Waterloo on Saturday in which he made 37 saves. On the season, Head is 2-2 with a 3.23 goals against average and a .899 save percentage. Logan Britt picked up a goal over the weekend for the Lincoln Stars. The defenseman has a goal and two assists in six games played so far this season. Justin Robbins went 1-1 in the last week for the Chicago Steel. He had a very solid game when he gave up two goals in a win against Madison but gave up five goals in loss on Saturday against Muskegon. On the season he is 2-2 with a 4.35 goals against average and a .829 save percentage. Quinnipiac picked up a new commit out of the BCHL last week with 1999 born defenseman Wyatt Head of the West Kelowna Warriors. The blue liner has gotten off to a strong start with 10 points (4 goals, 6 assists) in 13 games played. Stay tuned for a Q&A coming up with Wyatt Head. Matthew Fawcett has gotten off to a hot start for the Powell River Kings as a rookie with 10 points in his first 10 games played on 3 goals and 7 asssists. Tyler Ghirardosi has a five game point streak for the Trail Smoke Eaters with three goals and three assists in his last five games played. He had a pair of goals over the weekend and now has 9 points (5 goals, 4 assists) in 13 games played. Skyler Brind'Amour won the BCHL player of the week last week. The Chilliwack Chiefs forward picked up two points this week on a goal and an assist to bring his totals to 10 points (3 goals, 7 assists) in 15 games played. Corey Clifton picked up an assist this week bring his totals to 5 points (1 goal, 4 assists) in 15 games played for the Surrey Eagles. Nick Kent picked up two assists in three games played for the Buffalo Jr. Sabres this past week. On the season Kent has 8 points (1 goal, 7 assists) in 14 games played. Victor Czerneckianair continues to tally the points for the Selects at South Kent U-16 team. He has 26 points (14 goals and 12 assists) in 20 games played this season. Oscar Plandowski continues to pile up points from the blue line for the Selects at South Kent U-15 team. In 18 games played he has 22 points (4 goals, 18 assists).